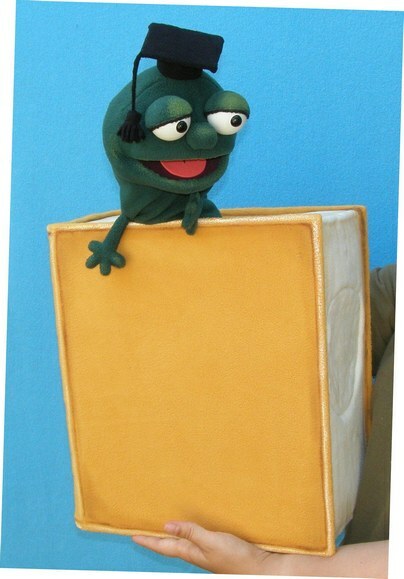 Bookworm with book puppet, Puppet for sale. 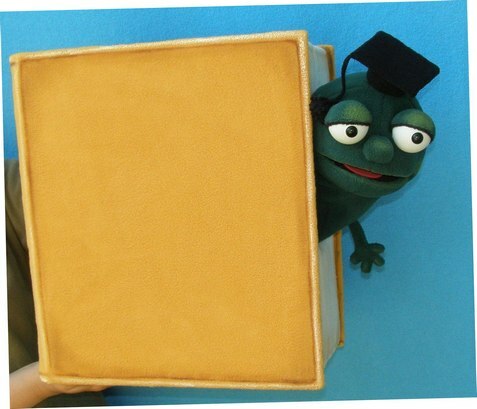 This puppet is made out of foam with plastic࡮d covered with fleece. 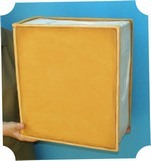 Size is 7,2" (18,5cm) deep,࠱4"(36cm) tall and 12,5" (32cm) wide. Weight is about 1 pound (0,5 kg). 20" (50cm) tall. Weight is very light. 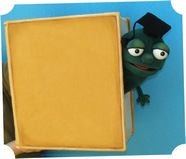 This puppet is made of foam and covered with fleece. It is possible to purchase book and bookworm separately. Price for book is $295 and for bookworm $235. 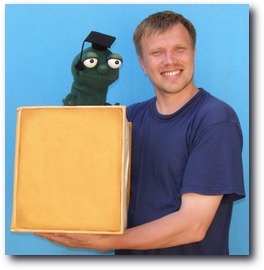 Customization of those puppets are possible. 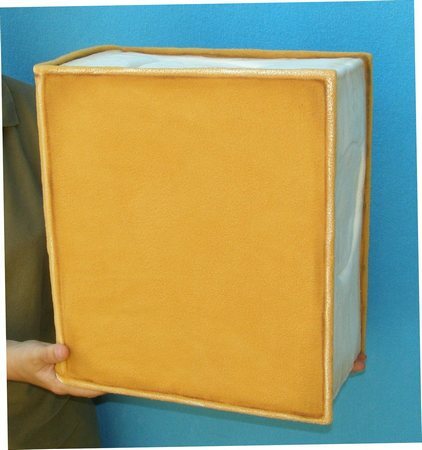 Size is 7,2" (18,5cm) deep,࠼br> 14"(36cm) tall and 12,5" (32cm) wide. Weight is about 1 pound (0,5 kg). In the book there are 2 holes with doors.